REDUCED AND RE-LISTED! 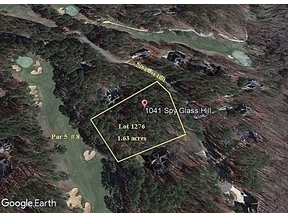 One of a kind 1.63 acre home site on highly acclaimed Harbor Club golf course par 5 hole #8. Size and lot topography will accommodate any desired home plan. Lot is nestled among very nice existing homes. Build now and enjoy all the amenities that world class Harbor Club lake and golf community offers.